We offering cement silos for concrete plants with complete equipment here. 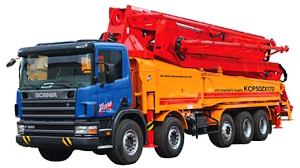 Get quality KCP concrete pumps for excellent prices! The concrete pumps are fully equipped on MB chassis 8 x 8 a 8 x 6 in range 52m, 48m, 45m and the pumps 38m, 33m, 28m, 24m on MAN chassis (except prior sale can be delivered immediatelly), other models can be delivered within 2 months! More information here. These models are available immediatelly! Call! 7777646605. 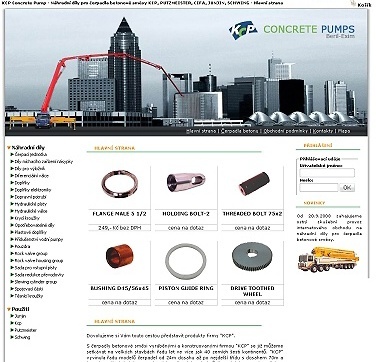 Here find photos from the concrete pumps presentation of manufacturer - KCPPUMP which took place on the 17th of April 2008 here. Entered to the world market with a new progressive design and innovated construction of a hydraulic system. KCPPUMP company has developed a comprehensive range of various models reaching a working height radius from 24m upto the top grade-class type of 70m. The production program comprises more than 16 models follow its construction design to the different types in which are built the same and interchangeable parts as widely as possible. 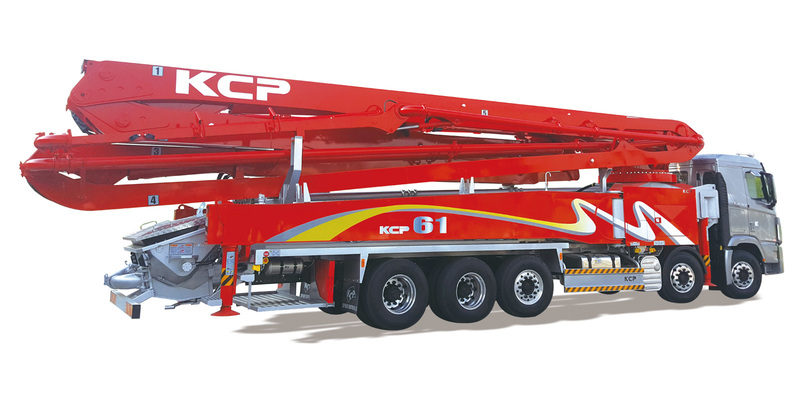 KCPPUMP is to be rightly considered as one of the World leaders in manufacture of mobile concrete pumps mainly due to the development and design of concrete pump 65m. It showed a new direction for next generation of the concrete pumps for its simplicity and compatibility of the hydraulic system. KCPPUMP company used in its manufacture and construction of modern knowledge in this rapidly developing field and is always ready to meet any requirements of the market and its customers. KCPPUMP is certified according to ISO 9001:2000 and ISO 14001:2004 norms since 2006 and received CЄ Certificate for all the type of concrete pumps in 2007. It monitors the highest achievable quality for its products due to its permanent innovation and progressive management of production and became company that indicated direction in the concrete pumps developmnet and production of the next generation. It uses only subcontracting of the most prestigious world companies in its production such as BOSCH/REXROTH, GRUNFOS, HEWE, KAWASAKI, TMC, DAIHAN TC, HBC. - multi-stage centrifugal pump with the delivery of 120 liters of water per minute and pressure of 20 bar is the optimal solution for cleaning the hopper. - it saves the time and maintenance costs and prevents some lubrication points have been omitted. 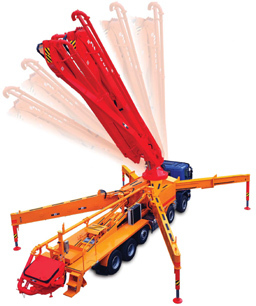 - it allows the proportional remote control and safe operation of the boom. - used hydraulic filters and high-capacity oil cooler ensure a long life of the oil pumps and hydraulic valves. - it allows a switch to the mechanical control in case of failure of the electric distribution. - oil pumps of the brands „BOSCH/REXROTH and KAWASAKI" are considered as the world number one from the perspective of performance quality for their use in the concrete pumps. C.P.C.S. regulator controls the reliable and economical operations of these pumps - this simple, reliable and powerful system allows considerable savings in fuel consumption. 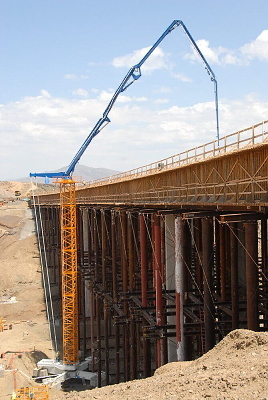 - it allows a high delivery of the concrete pumping, it is the most reliable and most powerful system currently thanks to its innovative design. 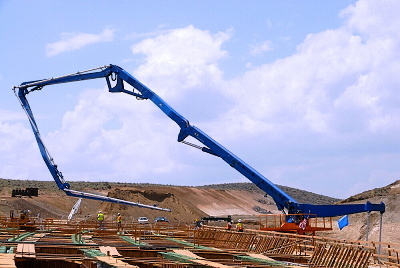 Independent hydraulic systems allow the continuous control of the boom during the concrete pumping. It is important for easy control of the end hose and it allows to minimize the spontaneous movements of the boom during the concrete pumping. - use the rubber pistons with the latest composition of material allows to extend their exchange of up to 30%. - hopper design allows the smooth and balanced flow of the pumped concrete and also consequently their cleaning. - „TUNSTENCARBIDE" are supplied as standard for the all type of the „KCP" products. They ensure longer life of up to about 300% than noncarbide parts and this reduces the maintenance and downtime costs substantially. 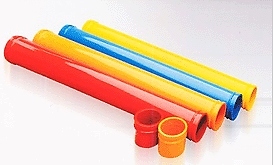 - supplied as standard for the all type of the „KCP" products. They ensure longer life of up to about 300% than noncarbide parts and this reduces the maintenance and downtime costs substantially „TUNSTENCARBIDE"
2. double pipe and elbows „TMC"
3. hydraulic control system „OSS"